Meeting held at the Hong Kong Inn, 2nd December 2014. 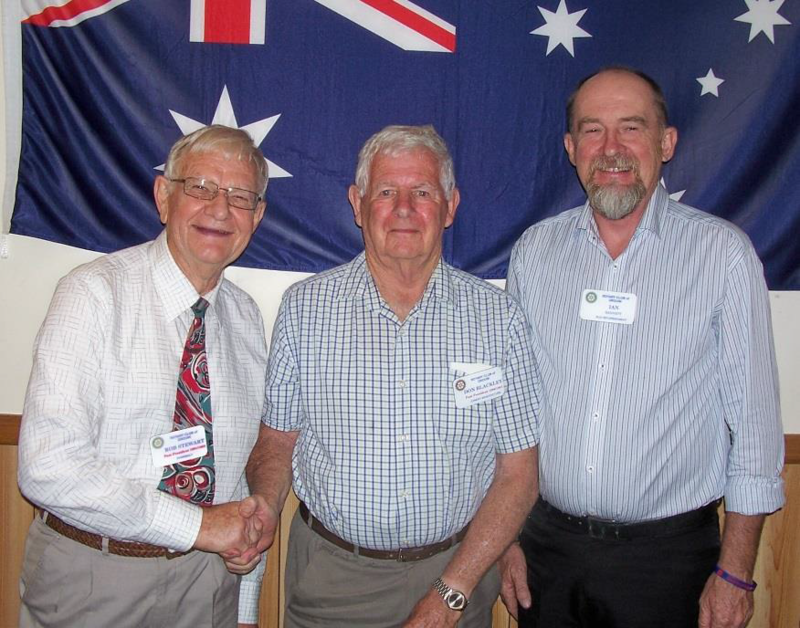 Local identity and long-time Rotary member, (he joined in 1978) Don Blackley has had a very interesting and busy life with much of it concerned with service to the community. Don was born in 1933 in the Royal Women’s Hospital in Carlton and went to school in Mordialloc and later lived on the family farm in Lilydale and attended Box Hill Technical School. In 1950 the family moved to Longwarry North and got to know Col Gardner’s parents. Don remembers Col then as a beautiful little boy! In 1952 Don did National Training at Puckapunyal, was married in 1956, lived in Dandenong from 1958 till 1966 and had four children there. 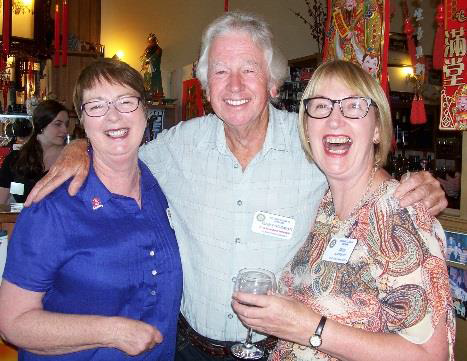 After his stint in Apex Don joined Lions and then Rotary. In 1979 when he was President, Sharryn Marshall was the District Exchange student and many hours were spent selling pins, kangaroos etc. In 1974 they sold the farm and moved into Drouin. Sadly his wife, Margaret, died in 1989. Don was a Buln Buln councillor for three years including Shire President; he was a member of the Drouin Cemetery Trust from 1996 to 2006 (7 years in the Chair) councillor of the Baw Baw Shire after amalgamation of the Shires and served on many committees. Don has travelled extensively. He first caught the travel ‘bug’ in 1974 when he went to Scotland on an Apex trip. 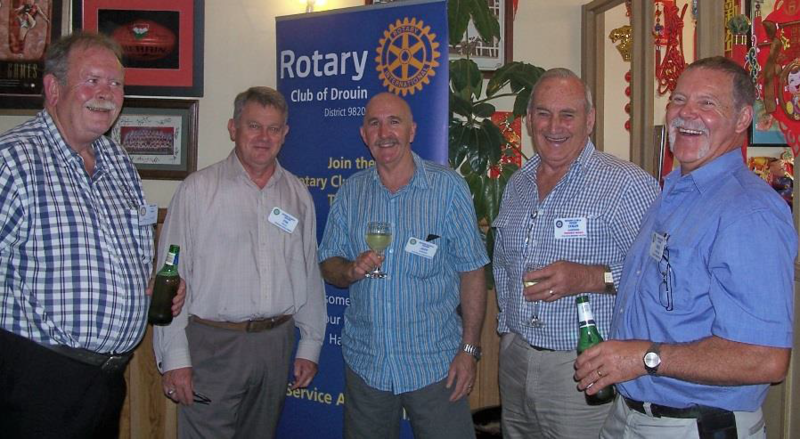 Don has clocked up 52 years in Service clubs in Drouin. What a marvellous effort! !